I'd like to know Japanese beautiful insects! I'll answer the above wish. Jewel beetle is one of the most beautiful insect in Japan. It's a popular from many Japanese for long time. So, I'll introduce the charms of them below. 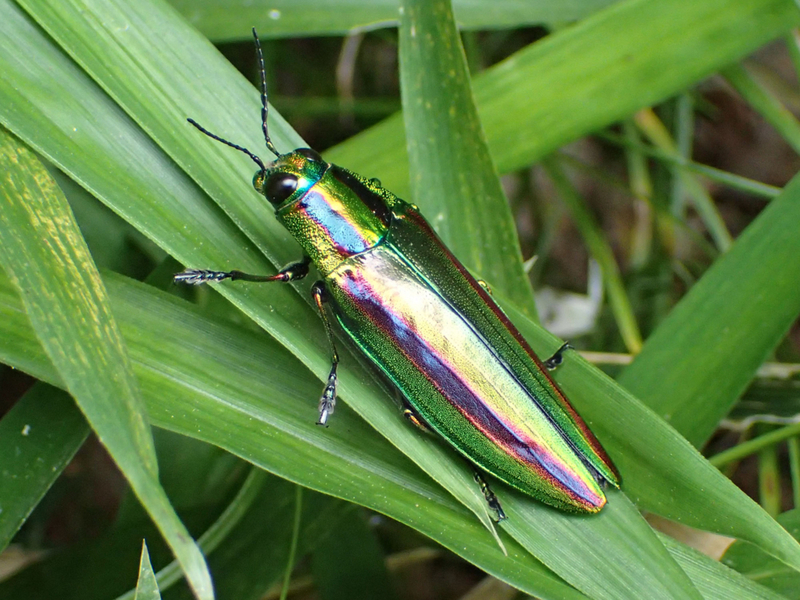 The most popular Jewel beetle of Japan is "ヤマトタマムシ (Yamato-Tamamushi)". It has beatuiful rainbow-colored body. Many Japanese people were bewitched by it. "玉虫厨子 (Tamamushi Shrine)" is traditional crafts. The wings of jewel beetle are used for making it. It is also designated as a national treasure. You can see the replica of Tamamushi Shrine by clicking following link. It's a very beautiful! Why the wings of jewel beetle are used as the parts of traditional crafts? The reason is the wing of jewel beetle has structural color. We can see rainbow-color because of light reflection. It means this wing does not emit light. So, the wings can show rainbow-color even if jewel beetle was dead. Kanji of Jewel beetle is "吉丁虫". "吉丁" means "good news". So, old Japanese people believed Jewel beetle brings good luck. I'll introduce the example story. I go out to look for bugs place to place. I sometimes meet a person who have a Jewel beetle. He/She often show me the Jewel beetle. At that time, these people were smiling and looked happy! I think Jewel beetles are actually bringing good luck to them. Especially, Jewel beetles are decreasing. 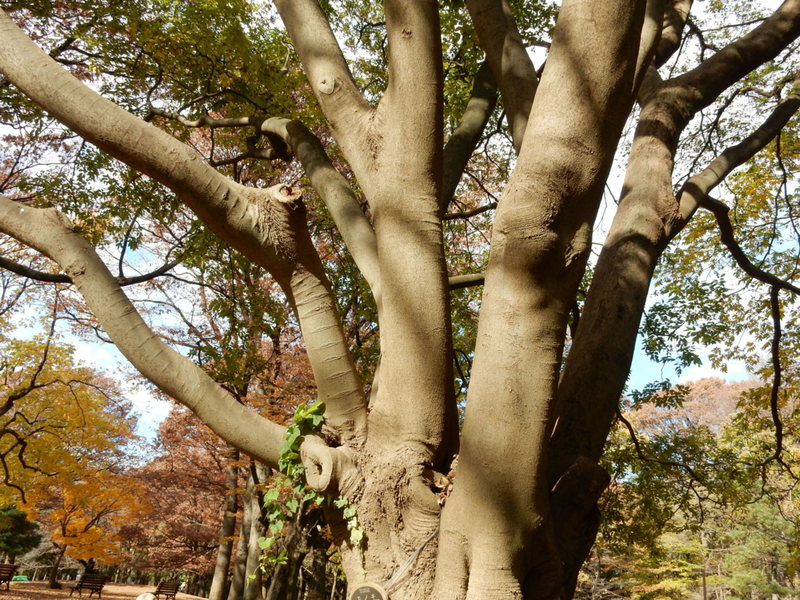 They like "エノキ (Chinese Hackberry)". There are many Chinese Hackberries in urban area. But, the dead tree of these are removed in these area. So, Larva of Jewel beetles can not survive. As a result, we have to go to forest to see Jewel beetles. Jewel beetle is very beatiful insects. But their habitat is decreasing. So, I'd like to protect the forest they live to see them in the future.